CTGB's Crawford Currie -"Always practice good habits"! Put in 10,000 hours of practice and you can become an expert – right? The “10,000-hour rule” popularised in Malcolm Gladwell’s thought provoking book Outliers has entered into popular consciousness. It’s an appealing and easy to understand idea that by putting in this amount of practice you can become a top performer in any area whether it be playing the piano, climbing or Taijiquan. If it was only that simple! To begin with, all practice is not created equal and in reality it might be more accurate to say that practice does not make perfect, practice makes permanent! While an often quoted Taijiquan adage advises practitioners to “practice 10,000 times and skill will naturally emerge”, this is usually accompanied by the reminder to “always practice good habits”. For practice to really bear fruit it must be deliberate and purposeful. 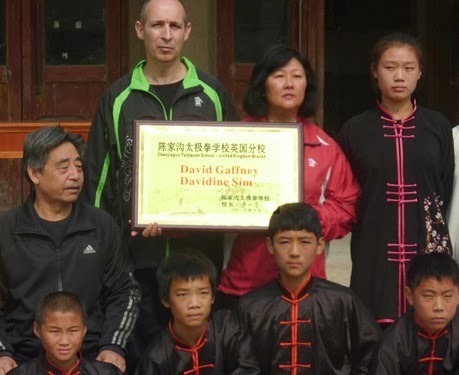 As 18th Generation Chen Taijiquan master Chen Zhaokui put it in his article Training for Sparring “… hard training means clever training… and the goal of training must be clearly defined”. Brad Stulberg, co-author of Peak Performance: Elevate Your Game, Avoid Burnout, and Thrive with the New Science of Success addressing the quantity re quality issue: “Yes, great performers spend a lot of time practicing … but there are a lot of people who spend a lot of time practicing who never reach world class or even national class levels… What separates the great performers from those that don’t meet that high bar is not necessarily time spent practicing, but again, what they do as they’re practicing… In deliberate practice, you need to be fully tuned in to learning the skill you are working on, and minimise distractions as much as possible (put away your phone). Because focusing intently takes so much energy you can really only sustain that level of practice for 60 to 90 minutes at a time”. It’s a given that the achievement of mastery is built upon consistent hard training over an extended time frame. 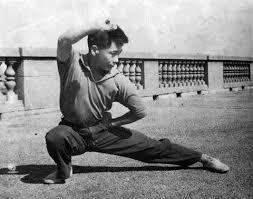 That said Taijiquan adepts have long understood the serious problems that arise when incorrect movement patterns or deviations in posture are allowed to develop. As the saying goes, “Taijiquan is easy to learn but difficult to correct”. So better to practice less but correctly and intelligently than more and in the process develop any indirect or direct bad habits. The reality is that all the practice in the world isn’t going to help if your body isn’t up to the task. Ultimately Taijiquan’s rules are what set practitioners free. The human movement system is highly complex and by imposing specific constraints – in this case Taijiquan’s rules for each part of the body etc –optimal functional patterns of movement begin to emerge. It is these essential and carefully laid down habits that make practice productive and performance effective. Chen Zhaokui - "hard training means clever training"